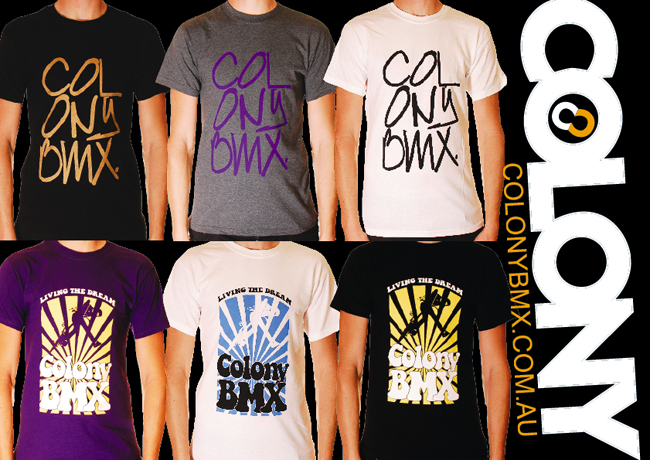 Strictly BMX are doing their bit to help you in these ‘tight’ times with an amazing deal on some already exclusive Strictly/Colony tees by giving you 2 x Tees & a Colony Girls G-string as well all for one very low price… click here for the full deal at the bottom of page after the jump. 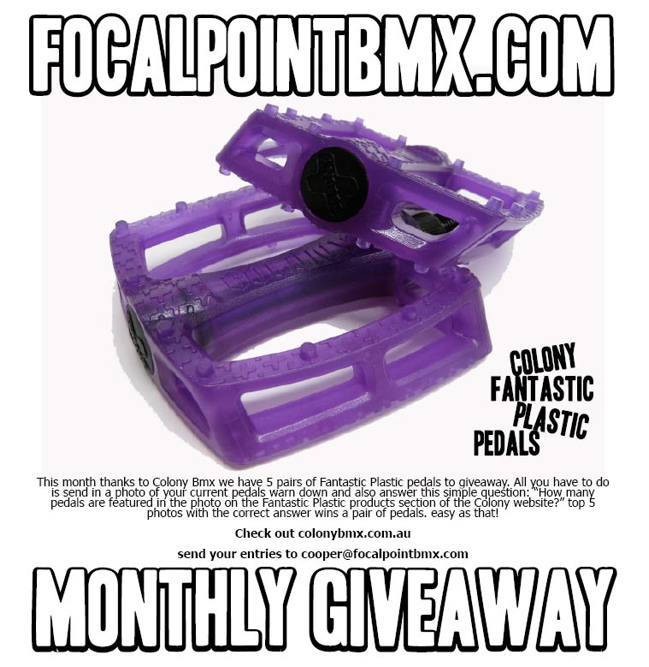 It’s the last days of the giveaway we have been running with Focalpoint so get in before it’s too late. 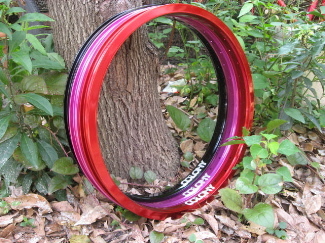 Here is a little sneak peak of our Clone Rims which weigh in at 495 grams each. Made of 6000 series alloy drilled out on the inside wall to save some extra weight. These will come in a range of colours including Black, White, Dark Red, Dark Purple, Dark Blue & Tangerine. Coming in 36 hole only & will also be available as a complete wheel set coupled with our Clone Hubs in 9t only. Look out for them in August/September this year. We will reveal more in the weeks/months ahead… stay tuned. 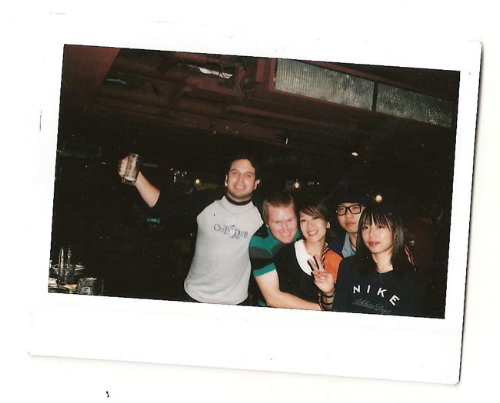 Dre from The Sanction BMX sent me this email from one his mates who is over in Japan right now. Pretty cool I thought… read on below. Hey bro-towns, just a quick up to let you know I’m rocking the Colony and flaunting the Sanction T! 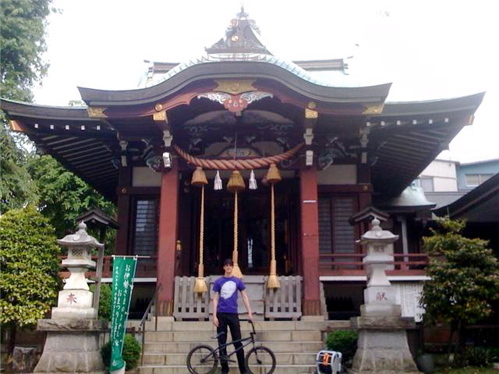 Believe… Got my rig blessed with shreddabilty at my local temple. Possibly a first for a Colony Endevour and definately a first for Sanction. 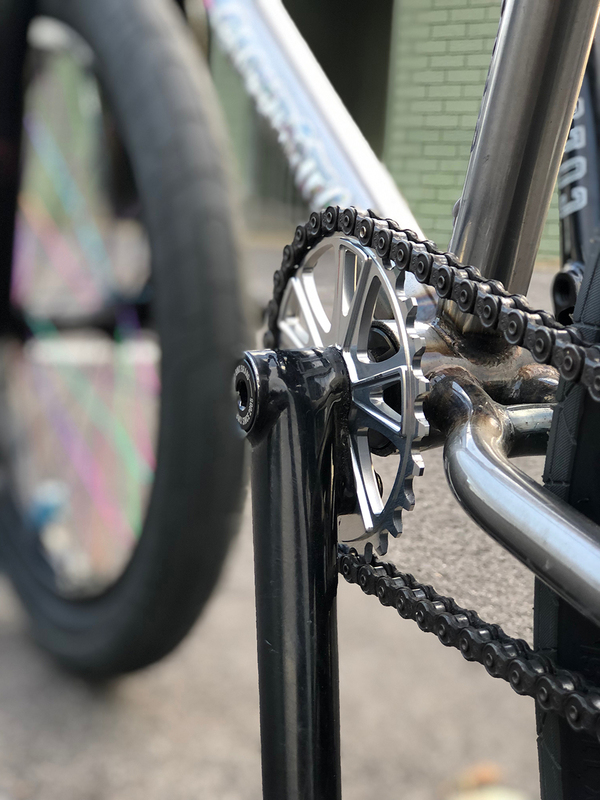 Lewis & Sons Powder Coating, Australia’s specialised BMX powder coater is presenting their third annual Vintage BMX Show n Shine. 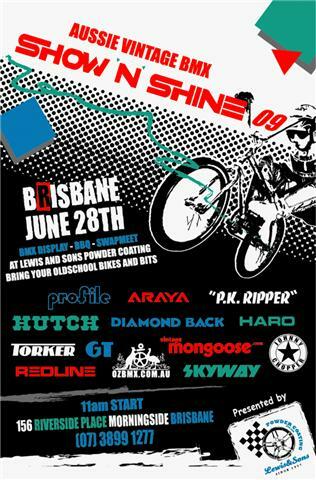 This is a great day out to see the history of BMX Racing and Freestyle from the 70’s to the 90’s. There will be old school bikes on display, rare parts up for trade and a BBQ. See the flyer for further details. 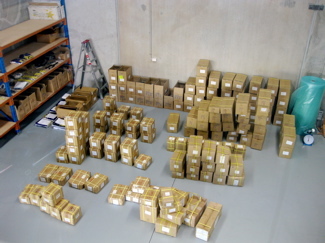 Our latest shipment has arrived in Australia & has started to be shipped out to all the better BMX shops from today. Expect to see our latest range in stores by the end of the week. This includes Purple & Gold anodised parts as well as Purple & Acid Green painted parts. We will post some pics of these in the days ahead. Matt came by the office yesterday trying to escape the rain & I snapped these pics of his current bike. He has been riding this same Hell Stallion for over 12 months now & decided to give it a new paint job recently, nice one. 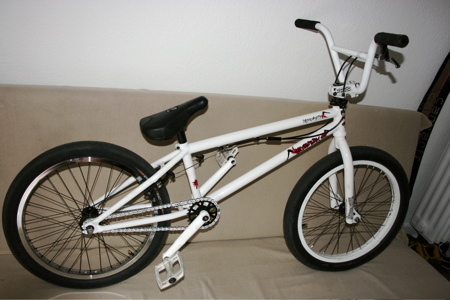 Matt also rides for Helensvale BMX, one of the better BMX shops in the country. 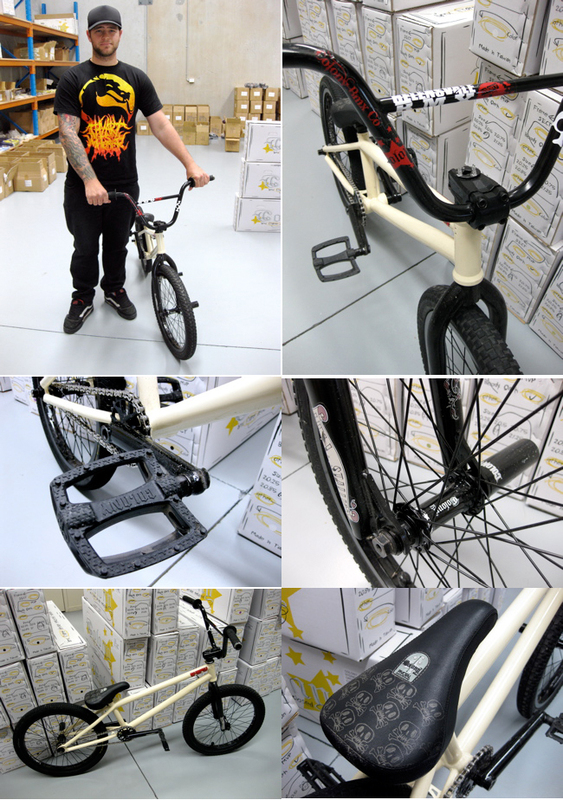 Alex came by the office today with his new bike made up with our limited edition Acid Green painted & Gold anodised parts. It looks amazing. 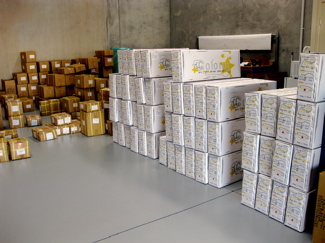 All these new colours just arrived into the country & dealers all across Australia will have stocks later this week. So hit them up at the end of the week. The USA also have their shipment now & other countries around the globe will have theirs in the weeks ahead. I am a bit slow on this one but DIG magazine gave us some love on their site a few days ago… check it by clicking here now. 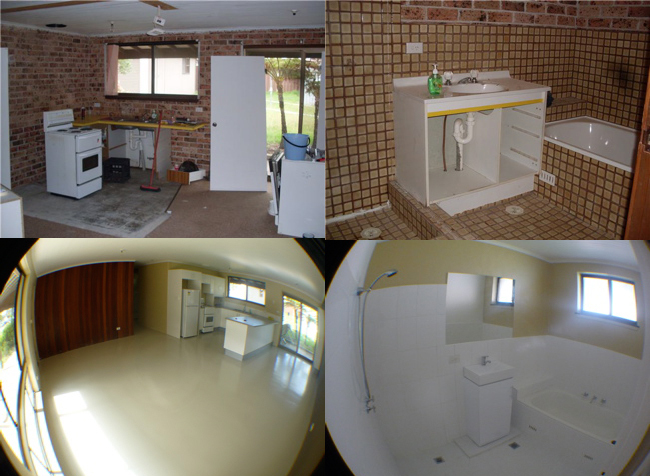 Simon became a home owner recently & has been working hard on his own home improvements for a few months now & here are a few fruits of his labour. Before & after shots showing Simon’s recently acquired skills of being a handyman. The final installment of our series of 3 videos from our Australian trip earlier this year. Got a few little bangers in there for you… hope you enjoy it !! Colony / Vans Australian Trip Part 3 from Colony BMX on Vimeo. Our fresh new 2009 tees designed by Cooper Brownlee, are in BMX stores across Australia right now. 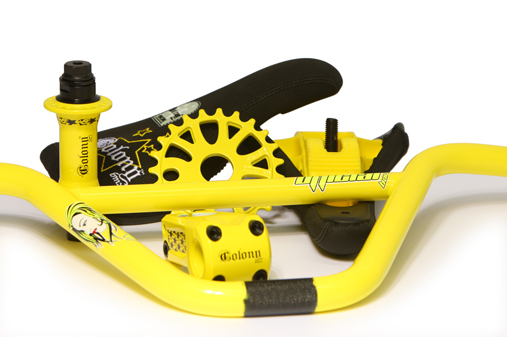 Hit your favourite BMX store up now & get yourself one before they’re all gone. Shown on top is ‘Freehand’ & on the bottom is ‘Living The Dream’. Artwork done by Cooper Brownlee of Focalpoint. 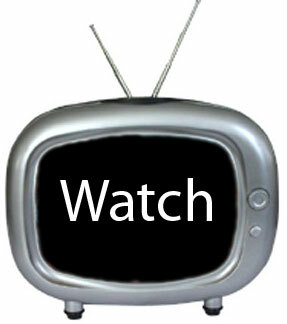 If you’re bored sitting there in front of your screen maybe you can pass some time by checking out the selection of 20 videos we have on our Vimeo channel by clicking here now. Enjoy !! 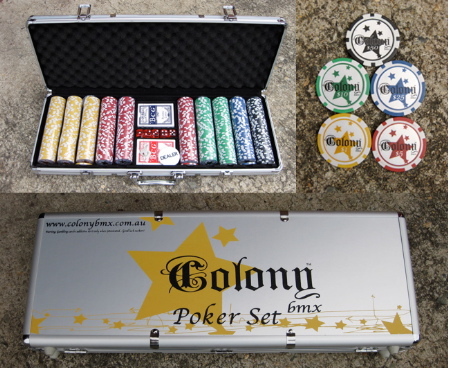 Last year we did a limited run of Colony Poker kits just for the hell of it. These were only available in Australia & there are a few kits still available. So if you want to own a piece of history then get in touch with a Colony dealer near you & order one before they are all gone. Sneak peak – Cube Bars. Paddy Gross got his new bike set up & in his words, “I’ve officially been pimped!” Many thanks to Fastpace Distribution, our distributor in Germany, for getting Paddy his package so fast. Hope you like it… stay tuned, part 3 next week. Colony / Vans Australian Trip Part 2 from Colony BMX on Vimeo. Nice & simple plus they do what they are meant to do. They are named after an old friends TV set. What more do you want? Click here for the full details or check a BMX store near you. Back in March myself & Rhysty from Backbone went to Taiwan & over on the Backbone BMX site they have some cool pics & captions from the trip. Good times. Click here now to check it. 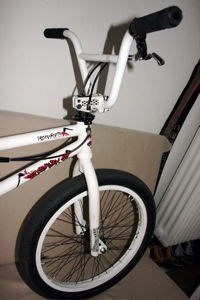 Our distributor in Switzerland, 48’s BMX, is helping run a BMX comp on June 13th. Click here for the full details. Click here for the full details now. Yo… thought I would show you all the newest advert for Ride BMX about to drop soon. 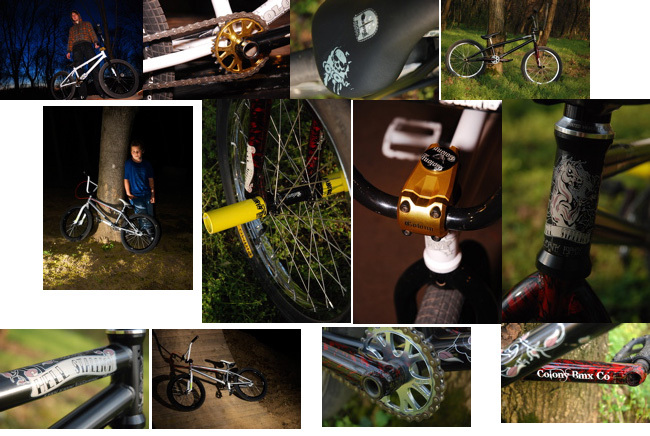 Featuring our Clone Hubs & yours truely. 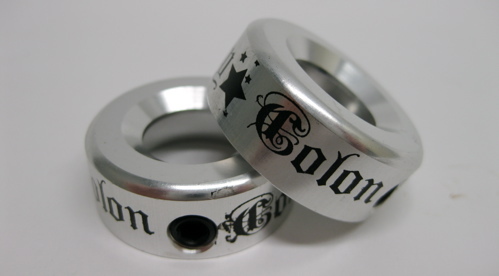 It also show cases our new logo & look for Colony. Hope you like it !! 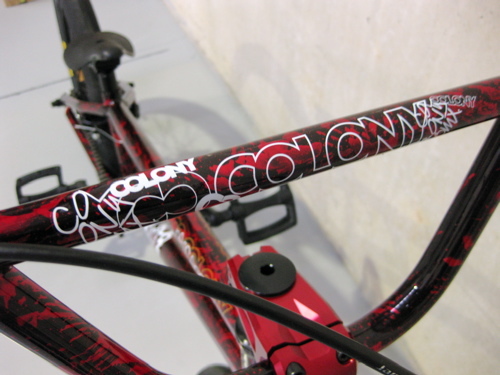 Here are some pics of some custom Colony bikes from Hungary courtesy of our distributor there, Harlee Shop. Jonny sent in a quick email saying that he has been riding a bunch lately & has some trips in the pipeline over in the UK. It’s great to see some sunshine over there finally. Here is a quick pic that Neil Maher took of Jonny. Check out this video from Vital on the Asian X Games in China a couple of weeks ago. Features heaps of good riding including Tim Wood’s winning vert stunts. Enjoy. 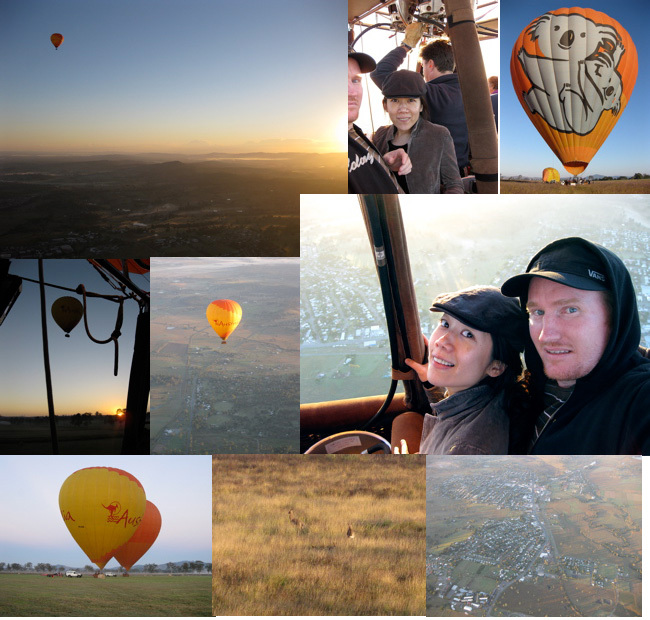 Yesterday morning I went up in a hot air balloon for the first time with my Mum, Sister, her boyfriend & my girlfriend, Niki for Mother’s Day & my sisters birthday. It is so peace full up there & was an amazing experience & something that I will not forget anytime soon. The view was amazing & it’s such a different feeling to flying in a plane. It feels so natural. We even saw some kangaroos in the field when we were landing. Oh, & the big news is I also popped the question to my girl & she said yes. Stoked. Both Liam & Marnold have been in Adelaide for the weekend with Cooper Brownlee & other Focalpoint boys clocking clips for the new FP DVD. Here is a quick shot of Marnold at Westbeach Park. Living the BMX dream for sure. Spotted this edit of our newest team rider from Germany, Paddy Gross over on FAT BMX from Soul BMX TV. Earlier this year we did a huge trip from Brisbane to Sydney, Canberra, Melbourne & everywhere in between. This video here is the first of a 3 part series which we will release over the coming weeks here on our site. They feature Ryan Guettler, Liam Fahy-Hampton, Zac Miner, Alex Hiam & myself as well as special guests from Forgotten Bikes. The entire trip was presented by Vans & these videos were edited by Stewart Munro from CRF Media. I hope you enjoy them !! This is also the first time our new logo for 2010 & beyond, is being released to the public. I hope you like it. You can expect to see much more fresh new stuff from us later in the year. Colony / Vans Australian Trip Part 1 from Colony BMX on Vimeo.